This cottage was built in the 17th century, the west end (on the road), the chimney and part of the north wall are original. There was a major rebuild around 1800, and it was extended in the 20th century. Many of the older houses had quite a bit of land with them, leased from the landowner. This was one of them. There has been a house on this site for many centuries, this house was probably built by the Carpenter family, the Kellows probably lived here before that - they were well-to-do farmers, and some were clergymen. From before 1766 to after 1806 Thomas Miles leased it (he lived elsewhere in the village), it was “A House Outbuildings with buildings yards garden Orchard etc” worth a rent of £2 5s 9d per year in 1796. 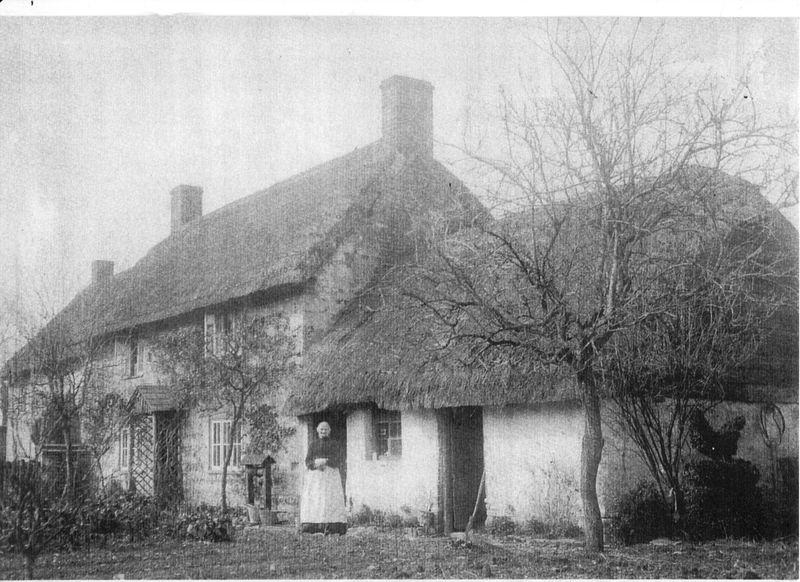 In 1815 Mrs Hannah Coombs, widow of Richard Coombs, who had been the farmer here, lived in this house. Then, it and its lands, were worth a rent of £53. Some repairs were necessary and it took a load of straw to re-thatch the garden walls in 1815. Then on 24th June 1815 Lord Ashburton leased Rose Cottage and Magna House to the trustees of Mr Richard Webb for his 5 young children. The two houses, with their lands, were let to Mr E C Pinckney, and the rents went to the children. In 1886 Mrs Eliza Brewer nee Webb of Stockbridge Hants died and the houses reverted to the landowner (Lord Ashburton). Mr Pinckney used the cottage for his farm workers. James and Emma Everitt lived here in 1881 with their sons James (aged 12 ploughboy) and Henry. James lived here until his death in March 1895, and Emma was here in 1901 with her sons James (32) a gardener, and Harry (28) a groom. She died in February 1919 aged 85. They had seen their house sold twice with them in it. When, in 1898 the village and farms were sold by Mr E T Hooley to Sir Christopher Furness, this was one of the few houses or cottages with a name - Rose Cottage. By the 1921 sale Mr T Knowle lived in “Cottage, flint and thatched - Good Well Water” for 3/- per week. It was purchased by J Sainsbury for £100. The Everetts moved here shortly after. In 1952 Bill and Nora Everett moved here from Stapleford and lived here for many years. Later Mrs Nora Everett remarried, she and Mr Alex Plank (he was the village policeman) lived here. Mrs Plank lived here until her death in 1999. The family still own the cottage, and let it for short holidays.